We are back from Blackhawk Farms. We spent the weekend camping at the beautiful track. It reminded me of Road America with the natural surroundings and and excellent facilities. Once we parked the truck it never moved until it was time go home. If you race karts or cars get out here and give it a try. On Saturday we found that some of our good friends from Concept Haulers came out to race with CES. That was an unexpected surprise. 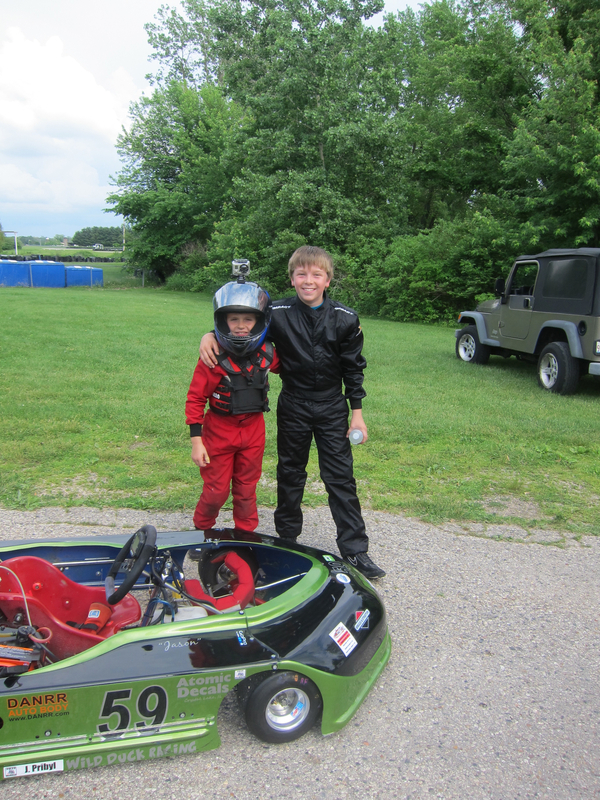 Jason and his CHMS buddy had a blast racing each other. After the racing was done, 4 Cycle Central and River Valley Kart Club threw BBQ parties and showed everyone some great hospitality. Sunday brought the The Badger Karting club. The field doubled and so did the racing excitement. Jason raced really well taking 3rd on Saturday and 5th on Sunday. Now that we have figured out the formula for the class he is picking up speed. He needs to learn patience when running these long races and wait for the right time to make a pass. Trying to make a pass in the wrong place can cost you position and speed. 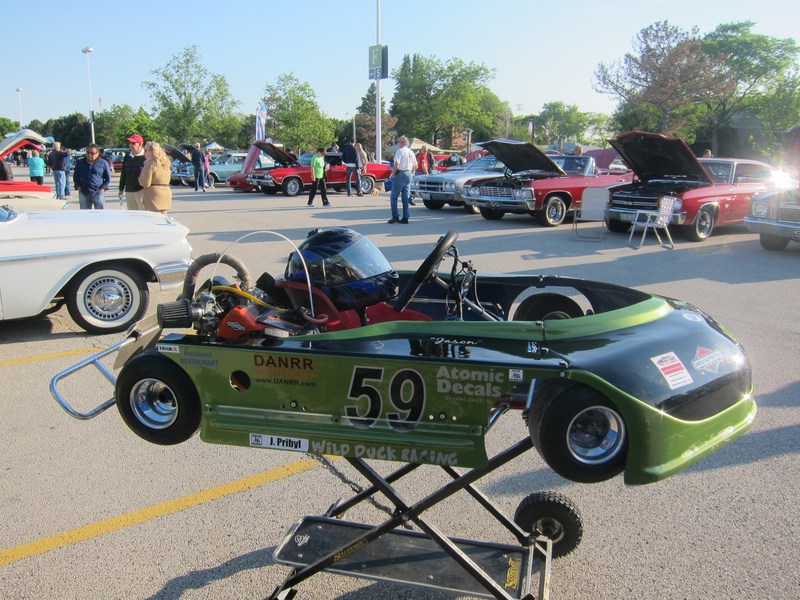 On Monday night we did something different and took the kart to the a local car show. This was more fun then we expected. Folks would stop by pause to look at the kart and then start telling stories about how they used to race. I let a number of little kids sit it the kart while their parents took pictures. This is really something other karters should do to promote the sport. Next race is at Concept Haulers then we are going to take some time off to rest before the first night race of the season. We plan on entering the car show at Glenview’s Street sale on June 29, look for us there and say “HI”. Once again we would like to thank C&M Auto Service for sponsoring us. They really are part of the community. To Karen without whom none of this would have been possible. Thanks to Jason who lets me play with him.